I enjoy funny t-shirts, do you? Not for work obviously, but they bring out a smile or two when shopping or going to the pub. 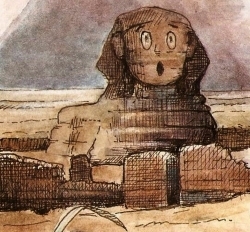 Bizarre pictorial designs are even better. Do you appreciate, weird and wacky t-shirt humor? Would you buy a funny cartoon tshirt? 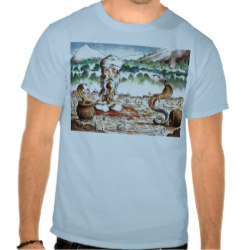 I have designed a few bizarre shirts myself and hope you enjoy the shirts shown here. Intro image by Oliver Tadpole, used with permission. All rights reserved. This page is all about finding great and unusual pictorial designs in all sizes. My hope is that you will enjoy these designs. 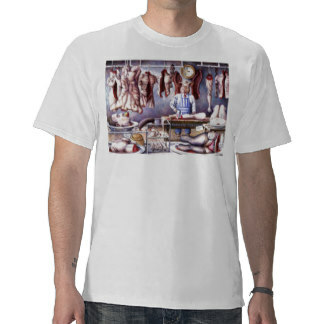 Let's shake up the world of alternative apparel with some really cool bizarre tees. Why? Because search engine land is preoccupied with the mundane and the easy to classify and that does not mean wacky picture shirts; it knows how the ordinary search works but does not understand the unique. So where should we look for bizarre t-shirts? - Could Ebay be the answer to find weird and wacky shirts? 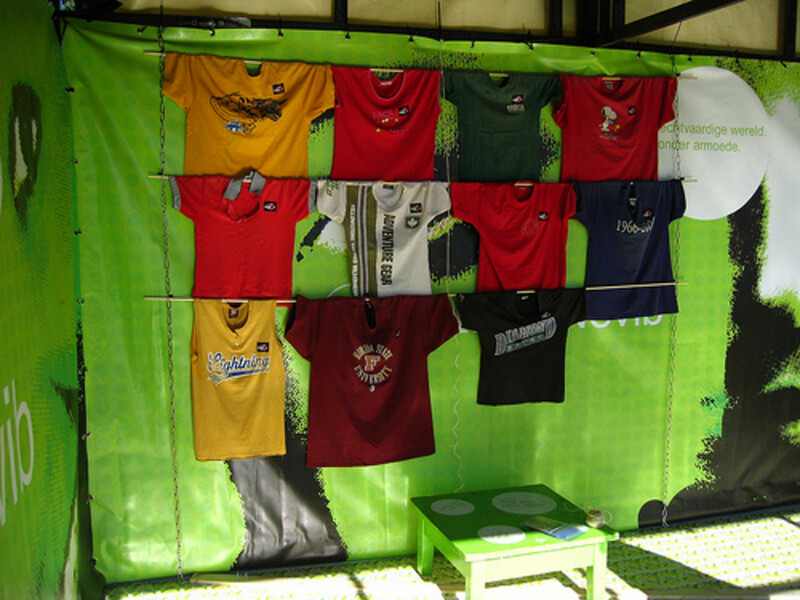 Where all all the awesome funny t-shirts hanging out? Could Ebay be the answer perhaps? I know I bought a super kaftan there a couple of weeks ago.... Ah but - that is NOT a bizarre T-shirt. Does Ebay stock awesome novelty t-shirts and alternative apparel? Shall we take a look? 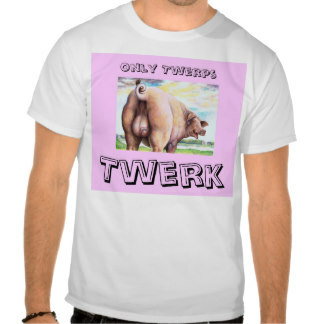 If people knew what to search for when it comes to bizarre shirts they probably would be designing their own. Well, that is what I think anyway. 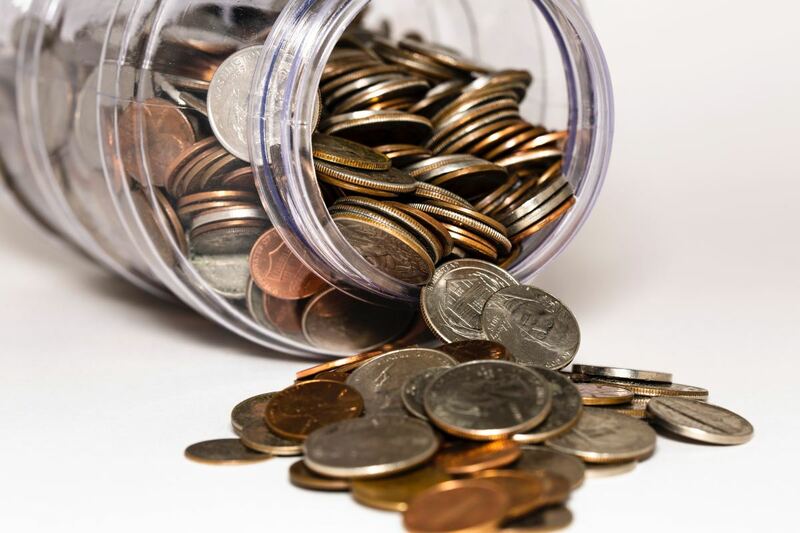 It takes a maniac to come up with the weird and the wonderful and, useful as they might be when searching for the best value domestic products, search engines are designed by brainiacs rather than maniacs. Let's take a mad scientist approach and hope for the best! G.I.G.O. Enough said? How can a search engine see what is funny? Search Engines have NO sense of humor, nor any idea of the range of human creativity which is possibly why they produce the same old, same old and why the stores likewise stock the same old, same old. 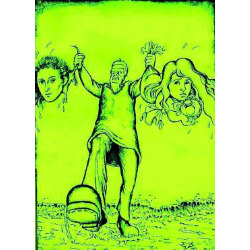 Search engines do not understand pictures, nor do they understand the pictorial t-shirt so when you type in that search query it will look for funny, bizarre words and that will be reflected in the results you get. No funny graphics, just funny statements and weird aphorisms. If the joke is visual is is harder to define in words. 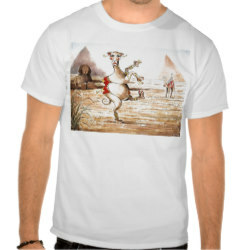 Who on earth is likely to search for a bellydancing camel t-shirt? 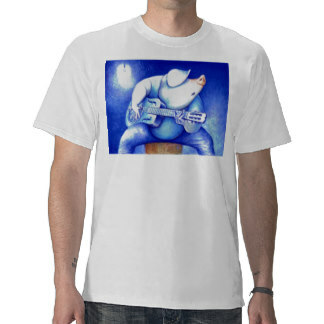 Or for that matter a guitar playing pig t-shirt? 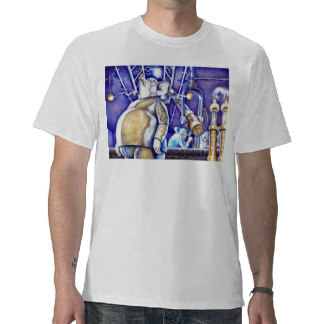 So on that note, please let me introduce you to my best selling Zazzle shirts. The best designs we see in everyday life have an impact on the way people think and feel. They don't do it with laboured words but in the spirit of a picture painting a thousand words. I genuinely do believe that to be the case. Most wordy t-shirts are just that, a quick skim read, a quick snigger and after that all you are doing is making the same statement over and over. A pictorial shirt, quite apart from looking decorative, has many statements it can make. The statement depends on the wearer and on who sees the image. There is more depth and more scope for imagination. 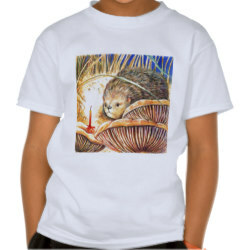 I think the best thing is just to show you some of mine..... One little Zazzle store, one great artist (Oliver Tadpole), one persistent designer (little me). Why not take a look? If you enjoyed these designs and want to see more from Persimew and the many other talented and original artists on Zazzle, please click the link below which will take you to our homepage and you can go from there. Thank you. The home page shows just a few of our featured products but please feel free to explore all the categories you like and other designers too. Thank you. That Funny T-shirt wasn't very funny was it? Design Your Own Funny Quote T-Shirt On Zazzle Perhaps? This of course could be one solution. We all have different notions of the bizarre and the funny - and sorry if I don't find white on black logos and phrases especiallty funny, but..... So what does Zazzle have to offer? Flexibility, designs you can customise and some amazing images you might otherwise miss. Thank you for calling in and looking at these Novelty Tees. What do you think? Do you have designs of your own? A favourite design by someone else? Feel free to add it to the link list. Do You Think The Shops Give Us The Best Choice? - Or Are We Simply Being Hung Out To dry? I have to say I'm oddly liking that pig playing guitar. These really are bizarre t-shirts. 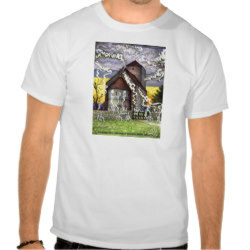 Thanks for adding my What Sells Best on Zazzle lens. Blessed and added to my Squid Angel of Zazzle lens.